Susan Fox, author is a consulting rosarian, award winning photographer and event planner that speaks, grows, and shows roses and gardens. Company founder of Gaga’s Garden®, and author of Four Seasons of Roses Monthly Guide to Rose Care Ms. Fox was recently awarded the American Rose Society’s (ARS) Presidential Citation “for Promoting the Rose and Rose Education Via Social Media.” Her most recent accomplishment is, according to Chicago Flower & Garden Show Director, Tony Abruscato, a ‘Miracle on the Pier,’ where for the first time in a decade the show presents a rose garden – two in fact: one, a “classic” rose garden, and the other featuring miniatures and minifloras. Ms. Fox’s year long efforts facilitating collaborations between growers and others “were key in making the show’s rose gardens a reality,” according to Mr. Abruscato. She currently represents Hometalk, the world’s largest home and garden social network on National television with recent segments on NBC “Show Me St. Louis,” and the highly rated “WGN Morning Show” in Chicago. 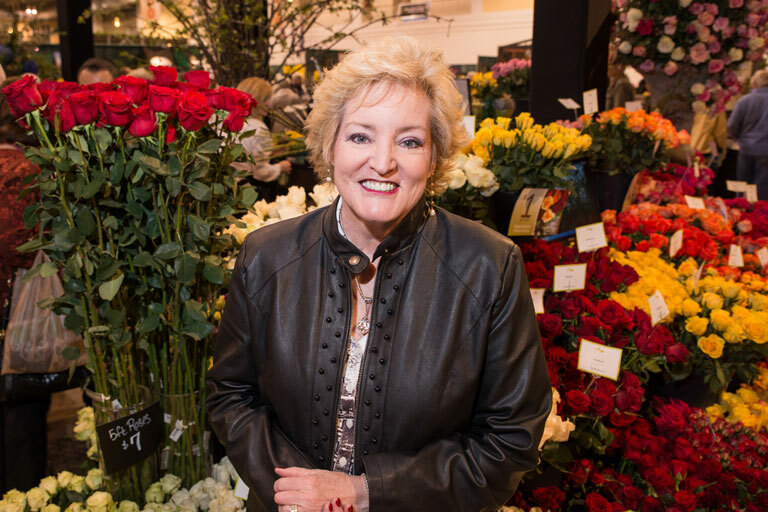 Last spring she attended TV host, designer, gardening and lifestyle expert, P. Allen Smith’s Garden2Blog 2014, and she was asked to be a judge at the International Biltmore Rose Trials in Ashville, NC. As co-host on June Stoyer’s live production, The Organic View Radio Show called The Rosarian’s View, at her heart is a commitment to generating educational, entertaining content that profiles specific products, personalities, places and events that engage the larger audience through targeted social media campaigns. This and other acknowledgments in the gardening community has firmly established Susan as one of the most highly regarded rosarians and gardeners in the industry with a special talent for promoting garden related products, people or events via social media and content marketing. The Website at www.gagasgarden.com features a sample of Gaga’s Garden® content and story telling graphics that keep readers coming back for more! Her breath-taking photo of Julia Child, a floribunda rose was selected for the ARS 2014 Calendar, July. 10% of all profits of the sale of Four Seasons of Roses |2014 Monthly Guide to Rose Care will be donated to the American Rose Society Educational Endowment Trust. Become a American Rose Society member today!